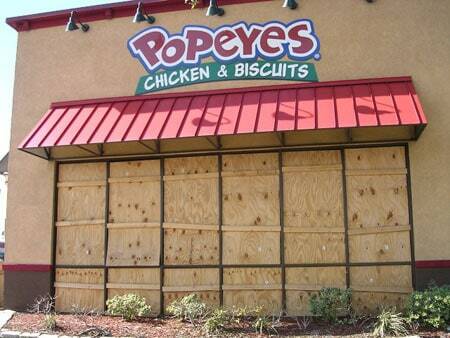 I wasn’t expecting things to still be so bad after hurricane Katrina. I was expecting to see damage and I knew that there were people who were still homeless and businesses that were still closed, but I was shocked to see how bad things still are. Spray painted X’s still on many houses and other buildings. 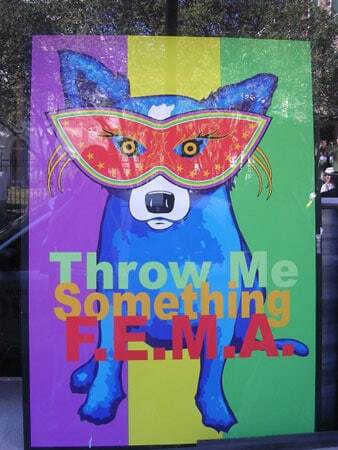 After Katrina, the national guard, search and rescue, the spca, and other organizations went around checking for people and pets in buildings. The X’s were surrounded by numbers; how many people, how many alive and dead, how many pets. The roads are trashed. Huge trenches on the sides of roads, now blocked off with wood and tape. Giant pot holes cover many of the roads. The term “weather damage” has a whole new meaning to me now. Dirt and debris everywhere, most of it now arranged into piles on what used to be the sidewalks. 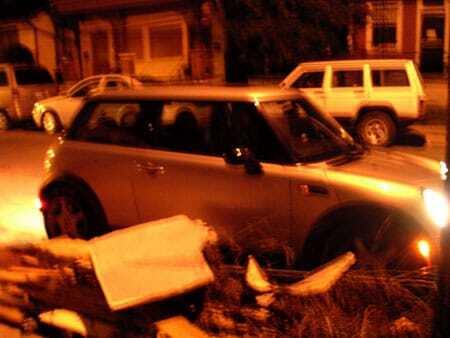 One evening, we had to move a bunch of rubble out of the way so we could park Blanca’s mini. Some neighborhoods are okay. The French Quarter wasn’t hit so bad. Blanca’s house wasn’t hit so bad either. Many of her neighbors weren’t so lucky. Thousands of people were forced to leave town and go to Texas, Mississippi, and other places for work and shelter. The local media speaks of the city in terms of “pre-” and “post-Katrina”. So many businesses boarded up; even big chain stores. Some will never open again. We passed a Taco Bell that was leveled to the ground; only the big metal sign was still standing. There is no 9th Ward anymore. 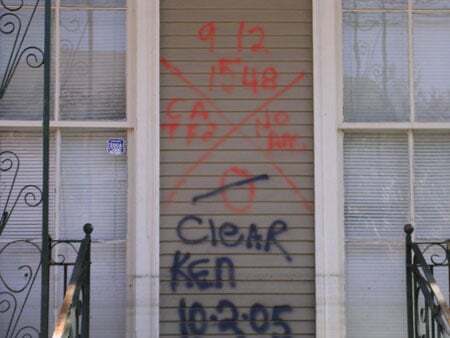 The lower 9th Ward is a large predominantly low-income African-American neigborhood that was catastrophically flooded during hurricane Katrina. People of this area and groups such as the Common Ground Collective have been fighting to bring relief and restoration to this neighborhood, which has been greatly neglected by government and other largescale relief efforts. There are FEMA trailers everywhere, but not nearly enough. Many people are living in abandoned cars. There are so many abandoned cars. 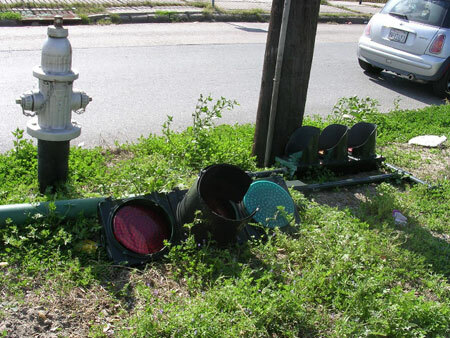 Many traffic lights are still down. There are Stop signs to help keep things in order, but we saw several car accidents while driving around. One time we saw a guy lying in the road, bleeding from his head. He may have been hit by a car, but we had no idea what actually happened. It was so freaky. It looked just like it does on tv. Okay, I needed to get all that out before I was ready to write about the good parts of our trip. One of the things that affected me most about our trip, besides from seeing all the damage, was seeing how so many people manage to go on and even have some fun amid all the rubble. 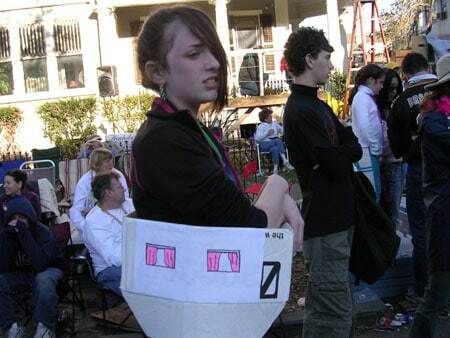 There were many creative costumes incorporating Katrina in some way or other. Many were a commentary about the crappy job that FEMA has been doing. Some were more of a general “You can’t stop us, Katrina” kind of theme, and others were a mix of things that I think can only be labeled by the people who wore the costumes, or possibly others who also shared the experience of life in New Orleans during and after Katrina. 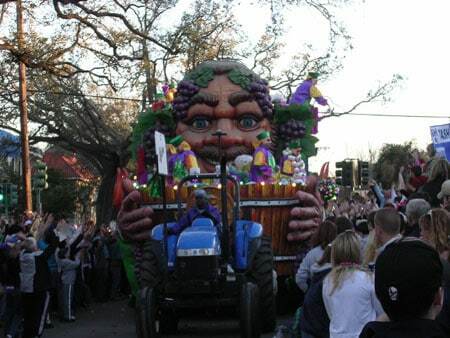 On Sunday, me, K, and B went to the “Bacchus” parade. It was led by Michael Keaton who has apparently done a bunch of stuff to help the city. There were lots of cool floats, mostly ‘Wizard of Oz’ related because the theme was ‘Yellow Brick Road’. There were lots of marching bands too. I got too overwhelmed to stay for the next parade, so we left and went back to B’s house. I think K and/or B were tired too, but they may have just been being nice. Either way, it was good to leave. New Orleans is full of flashing lights after dark. Before dark too, but it is not as noticeable during the day. Monday, aka lundi gras, me and K went to the French Quarter to hang out while B was picking Dexter up at the airport. It was fun to walk around and way cool to see the Mississippi River! Great music coming out of every corner; brass bands, blues, jazz, and more. That was one of my favorite parts of being there. We stopped to get a drink at a place with about 15 frozen alcoholic drink machines. I had a perfectly mixed Jack and coke and K had a pretty red drink. We had dinner at a cool bar that was playing lots of 70’s music. At night, we hung out at B’s and had some tamales that her mom sent on the plane with Dexter. Thanks mama Rivas! Tuesday, aka mardi gras, we all went to the French Quarter for a final day of partying. Bourbon Street was a crazy madhouse nightmare smelly frat party, but I’m glad I got to see it. 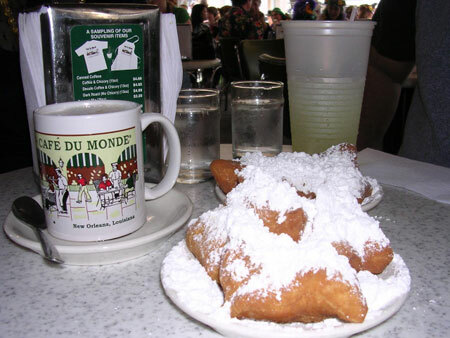 We had some beignets at Cafe du Monde. It was my powdered sugar fantasy. Beignets are these french donut-like things (except with no holes) that are covered with a giant mound of powdered sugar. I was pretty hyper by the time we left, but I’d do it again! We got a very stylish souvenir mug with K’s chicory coffee. When we were leaving, we noticed that as soon as we left the French Quarter, there was a totally other mardi gras happening. New Orleans is still very segregated. One step outside the quarter was the African-american mardi gras; inside the quarter was the white mardi gras. There was some overlap, but not much. Blanca had to work on Wednesday. In the morning we all went out to breakfast and then me and K and Dexter drove around and took pictures of random rubble, destruction, rebuilding, waterlines, and giant houses. In some places, the waterlines were above our heads. Freaky. Dexter gave us a ride to the airport in crazy rush hour traffic. Thanks Dexter! We had a night flight and didn’t get home until after midnight. I fell asleep pretty quick, even though the Dramamine I took was of the “less drowsy” variety. It didn’t knock me out nearly as bad as the regular Dramamine that I had to take on the way there so we could get onto our second plane. Travelling is very hard for me, but I love going places. Thank you Dramamine. We are back home now and have been resting, spending qt with the kitties, and playing video games. K doesn’t have to go back to work until Monday. It is good to be home. 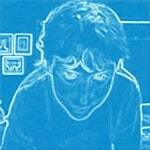 Click here to see the the rest of the pictures. Note: Click here for a list of organizations that are helping with relief and recovery for victims of hurricanes Katrina and Rita.